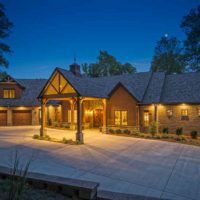 You will find a slice of hilltop living or lakeside luxury as part of the Charity Tour of Homes with 6 stunning houses stretching across Middle Tennessee from a couple of lake area homes in Sumner County to a lodge style home on eight acres. One ticket will admit visitors to all six homes over a three day period. Homes will be open from noon-5 p.m. Friday – Sunday, September 28-30. 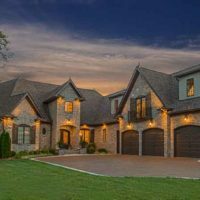 Presented by the Master Custom Builders Council of TN, the tour includes homes built for customers at substantial savings and are fully furnished. 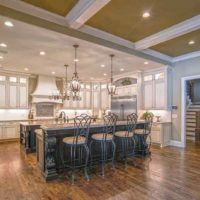 A single ticket allows visitors to sample a variety of home styles, locations, builders, architects, designers, and more according to Bob Shaw, of McPherson- Shaw, Inc., member of the Master Custom Builders Council. 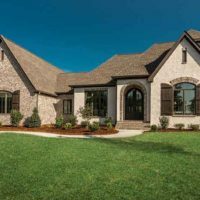 In the French country home built by David Patton Construction LLC, visitors will find a pleasing combination of brick and stonework. An imposing foyer and living area greet guests. A round space shelters the dining room which has views to the backyard which slopes gently to the lakeshore. 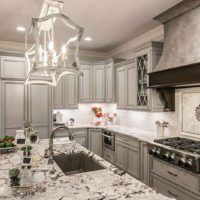 The kitchen features grey painted cabinetry in two tones, professional appliances, quartz countertops, and textural mosaic backsplashes. A screened porch is accessible from several rooms and wide walkways around the home’s upper level feature decorative iron railings and a view of the pool. Panoramic views are featured from numerous rooms. An upholstered wall in the master bedroom is reflective of the contemporary taste found throughout the home. Numerous graceful arches adorn openings off the entry areas and graceful wrought iron railings are part of the circular stairway that leads to the lower level. Downstairs, a second kitchen and entertainment areas sit on polished concrete floors. A home theater room and game table are also included. Aptly named “The Nest” by the homeowners, the custom modern farmhouse built by R. Thomas Construction is located high atop a beautiful ridge. 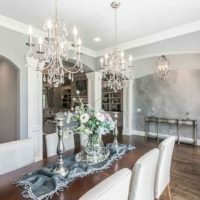 It is approximately 7,200 square feet and offers 4 bedrooms (with the option of a 5th) and 5 full and 2 half baths. 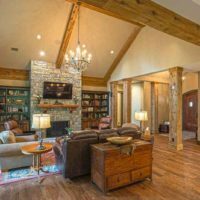 Twelve-foot ceilings on the main floor and 10-ft. ceilings on the 2nd floor create large open living and entertaining spaces while whitewashed oak beam ceilings and character grade wide white oak flooring and shiplap walls provide warmth and character. 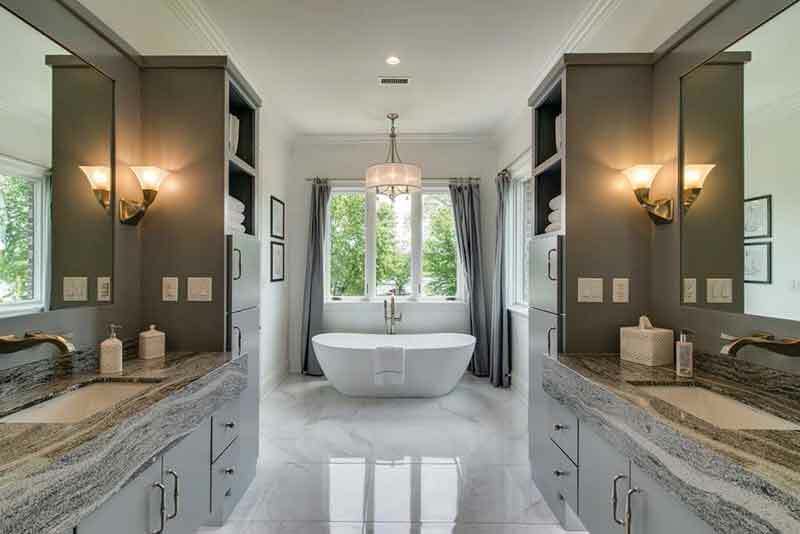 “His” and “Hers” bathrooms and a morning bar create a quiet and relaxing master bedroom suite. The upstairs—”The Barn” as the homeowners call it—was planned and built for fun with grandchildren and guests. It’s a huge space over the garage that has been transformed into a rustic, fun place for kids and adults to play games and socialize. Walls are finished with random thickness wood and the ceiling is covered in corrugated tin. 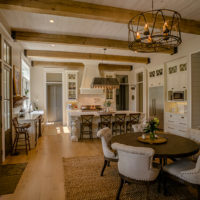 Charity Tour of Homes, McPherson-Shaw, Inc.
Shaw’s two homes range from a 6,700 square foot home in Fairview Plantation to a 4,900 square foot lodge-style home built to take advantage of its eight-acre setting. Features in the Shaw homes include a television that automatically folds down from a rear terrace ceiling, automatic screens on an outdoor terrace, and an artist-painted dome in a master bedroom. Both Shaw homes feature geo-thermal heating and cooling, while one home includes a vaulted groined ceiling in the dining room. Builders participating in this year’s tour include: David Patton Construction, Hughes Edwards Builders, McPherson-Shaw, Inc., and R. Thomas Construction. Additional members of MCBC of TN include: Hilton Design/Build, Hughes-Edwards Builders, Kingdom Builders, and WaterMark Homes. 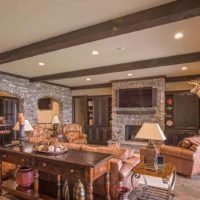 The Master Custom Builders Council of Tennessee is an elite group of the finest custom home builders in the mid-state sharing a deep passion for their craft and for providing their clients the latest in custom, residential construction. Originally brought together to leverage their buying power and cost savings for clients, the group established the Charity Tour of Homes in 2010. MCBC of TN builder clients who participate in the Charity Tour of Homes receives huge building savings. All of the ticket proceeds will benefit ABC (After Breast Cancer), a program for survivors of breast cancer that provides education and healing. Tickets are $15 (which includes admittance on all three days). Tickets may be purchased at the door of any of the homes or at www.mastercustombuilder.com. 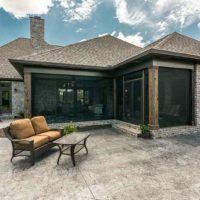 For more information about the homes, the builders, and the tour itself, visit www.mastercustombuilder.com.